Valiant warrior, resolute social reformer, proponent of poor peasantry and above all a devout Sikh, Banda Bahadur emerged as a colossal on the military firmament of otherwise mighty Sikh armed forces raised and blessed by the great Guru Gobind Singh ji. Born in the sleepy village of Rajouri in Poonch district of Jammu in 1770 and named Lachhman Das, he grew up as a daring hunter having mastery over archery and skillful fighting with swords. An incident of killing a pregnant deer greatly changed his mind and he turned a bairagi sadhu where his guru renamed him Madho Das in his ashram. As ordained, he happened to secure the blessings of great guru Gobind Singh and the dormant fighting abilities and volcanic courage to eliminate feudalistic rule for the benefit of poor landless farmers and humanity as a whole. Now, the veteran freedom fighter and art promoter, HS Bhatti, the founder of the Punjabi Kala Kendra, Mumbai, with late Balraj Sahni and Rajiv Mehta, play director has teamed up to make a light, sight and sound spectacle as a salutation to Banda Bahadur, an embodiment of humanism. The mahurat shot ceremony was performed by eminent scholar of Sikh Studies, Jasbir Singh Ahluwalia at the Chandigarh Press Club on Sunday. 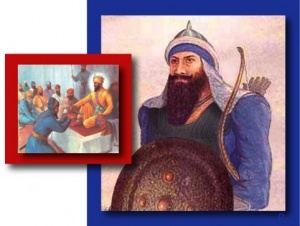 "Our humble tribute to the great General coincides with 300th anniversary as Guru Gobind Singhji renamed Madho Dass into armored Banda Bahadur on May 12, 1710, at Nanded before he conquered Sirhind," says Bhatty. "After an extensive research Aswini Sawan has scripted the story and dialogues for the mega production and we hope to stage the inaugural show on March 1, next," says project director Rajiv Mehta. A mammoth show has been planned on May 22 next year at the open battleground of Chhaper Chheri to celebrating the triumphant victory over the Mughals. Earlier, noted historians and Sikh scholars led by Ahluwalia excavated and discussed historical facts about the life and achievements of the martial Sant-Sipahi. 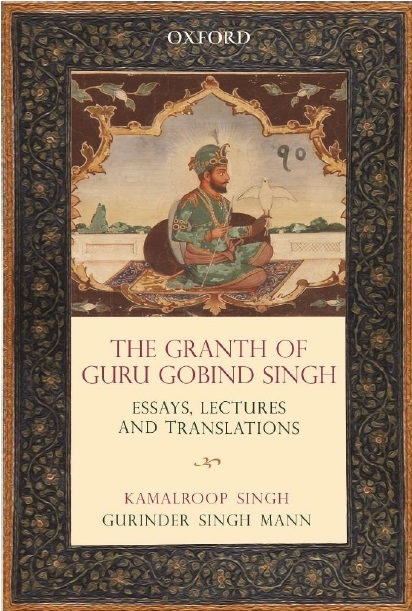 HS Bhatty, Joginder Dyal and others have reacted to the divergent views some historians hold on the celebrated Sikh hero and offered historical facts to negate their perception through this endeavor.